Open Monday through Friday 10 AM to 5 PM. 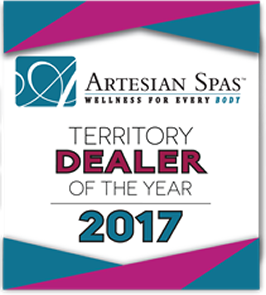 We are proud to represent such a great spa as Artesian Spas. The most ergonomic and comfortable spa ever, wide range of color choices, very energy efficient, pick a spa that targets your neck, back, legs, hips, feet or hands. Price ranges for everyone, but never cutting back on quality. 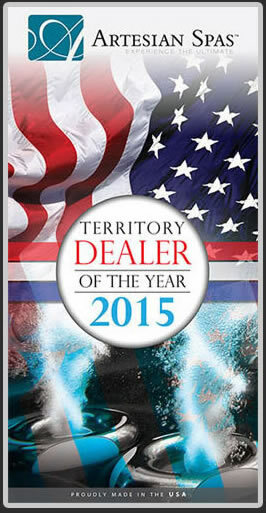 The only spa we'll ever sell going forward, The Best...Artesian Spas. For more information check out their web site. www.ArtesianSpas.com Build your own spa or come see us in our showroom. We proudly display Sale Prices in our store for every spa! 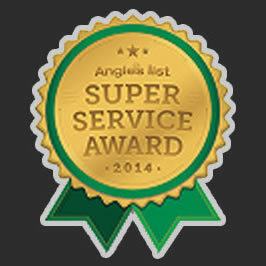 Since 2001 we've provided professional service, top quality equipment and a fair price. Purchasing equipment on line, or from another company just because it's on sale gives you no guarantee that the equipment is right for your pool. We ask alot of questions to help you make the right decision on what will work for your pool. We proudly offer Natures 2 mineral sanitizer with all our spas, along with Ozone installed in all of our spas give our customers pure water to enjoy when using our spas. Our pools both chlorine and salt pools each share the same problem, phosphates! Phosphates come from our water supply, near by lakes and fertilizers all can end up in our pools water. Phosphates are the food for algae. Algae is a plant, and all plants need sunlight, warmth and food. Using a quality product like SeaKlear phosphate remover helps filter out these contaminates. Phosphates create a chlorine demand, causing salt systems to work harder and wear out faster, or chlorine pools use up chlorine faster. When treating phosphates the water may go cloudy, extended run time for filtering and followed up with filter cleaning will remove these contaminates, returning your pool to clear water and algae free again. This is not a one time deal, additional testing in future months and maintenance doses may or will be necessary at some point. This is the type of knowledge & service our team offers for your maintenance needs. 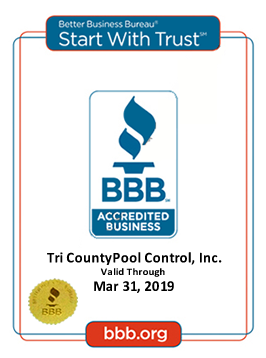 If you have purchased a home with a pool or spa and need help, we can assist you with pool or spa school. We'll help you get to know how it works, give advice on maintenance care, chemical needs and more. We offer weekly and every other week services, call for a FREE inspection & quote.